Mobile living room. We reviewed the bigger 18” 16:9 notebook after the Aspire 6920G, which is Acer's new compact multimedia class. The 8920G looks similar to the 6920G, but there are differences in their equipment. For example: the 8920G offers GeForce 9650M graphics and this graphic card is the successor of the GeForce 8700M GT chip. But this is the only black mark on a superb machine that offers everything you’d want in a luxury laptop. The screen lets you watch Blu-ray discs in Full HD, the battery lasts for more than three hours (under light use), and there’s a fantastic range of multimedia features. The HP Pavilion beats it by offering even more, but this Acer is a worthy alternative. All in all, though, there’s a lot to like about these multimedia notebooks. While our living rooms were less crowded when we shipped them back to their makers, we do confess to being somewhat sorry to see them go. They certainly livened up our media consumption and made it easier for multiple family members to watch the movies of their choosing at the same time! If you need a basic, workhorse desktop replacement, you have cheaper, more sensible choices than the Acer Aspire 8920. But if flashy looks and big-screen entertainment are your goals, the 8920 deserves a spot on your short list. 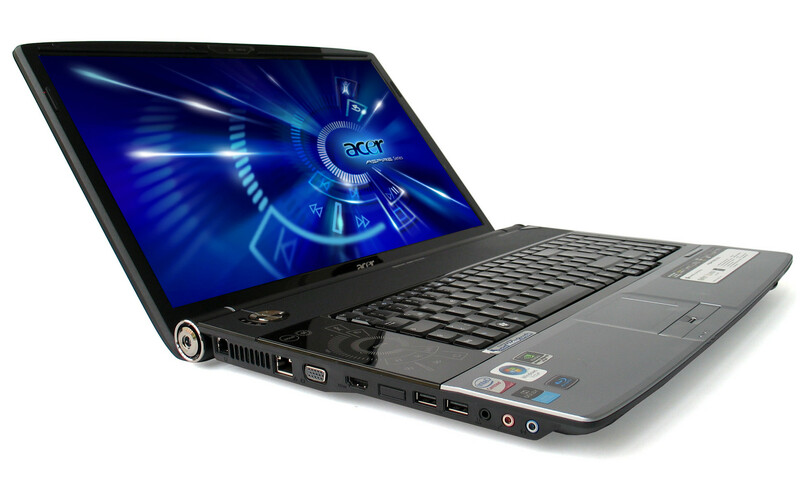 The Aspire 8920 is a well-made laptop offering a powerful specification, and is worth a look if your needs are centre on watching movies and maybe casual gaming too. The switch to a 16:9 aspect ratio doesn’t offer any great benefits, however - who can't live with some slim black bars above and below the picture? It’s difficult to see the latest screen sizes as anything other than a cynical ploy by manufacturers to sell more laptops. This is a big, powerful machine and although it's expensive it's not exorbitant, coming in at £1,339. It makes a decent entertainment machine and desktop replacement, but while its battery life is reasonable, you really wouldn't want to transport it too far. The design offers some interesting features: the CineDash, that you either love or loath, certainly takes a chunk of space and if you don’t use it often, could seem like a waste. Removal of the Fn volume option seems an unnecessary move. The fusion of different colours and textures across the deck is a little scary, but the twin hinges support a screen that feels solid. The Aspire 8920G packs in a huge range of power specs at a price that is not too outlandish for what you get, but at this price, the little details matter. Acer's Aspire 8920 drops the conventional 17-inch screen for a much larger 18.4-inch display. 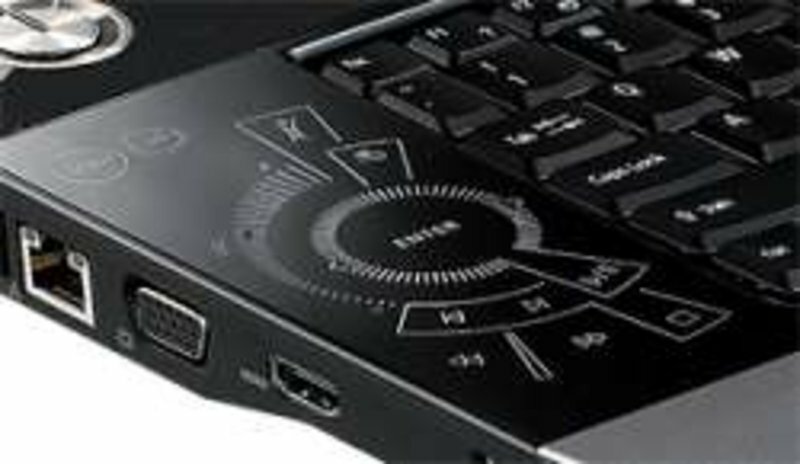 This has the advantage of giving it an easier to see high definition display that is great for watching Blu-ray movies or working with multiple applications, but the increased screen size also adds to the bulk making this a less portable laptop PC. Acer's Aspire 8920G-934G64Bn (£1400 inc. VAT) is the second machine we've seen from the company to feature its latest Gemstone Blue styling. Along with a 3D-effect finish to the glossy lid, you'll also find an unusual 18.4-inch display and a host of unique design touches. The Acer Aspire 8920G-934G64Bn isn't the cheapest machine, but the cutting-edge components and excellent display make it our machine of choice. Just when you thought Acer couldn't come up with another beastly laptop, the Aspire 8920G "Gemstone Blue" series emerges to wow high-definition aficionados. 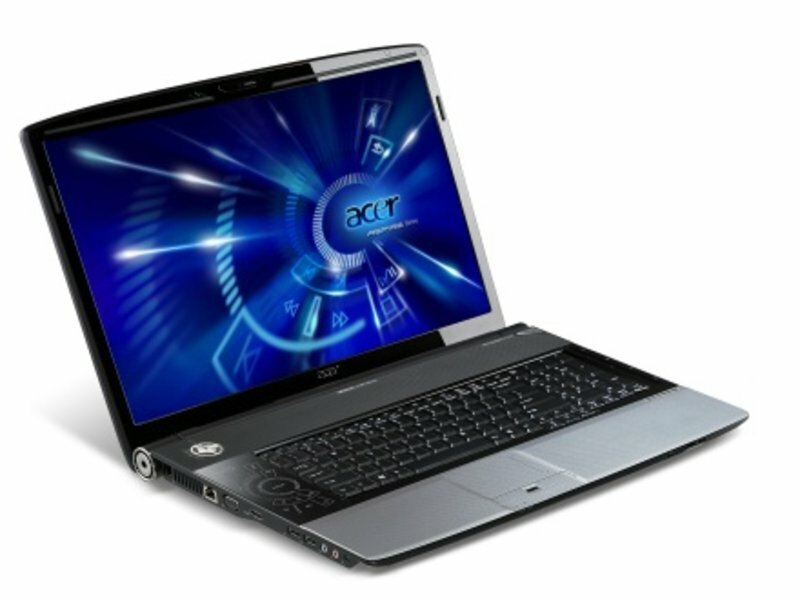 The Aspire 9805WKHi—Acer's first effort at a wow! laptop—had a glamorous 20-inch screen but weighed a backbreaking 17 pounds. The Aspire 8920G ($2,600 street) finds the sweet spot by putting an 18.4-inch widescreen on a system that, at 8.8 pounds, weighs as much as some 17-inch models, like the Dell Inspiron 1720, do. 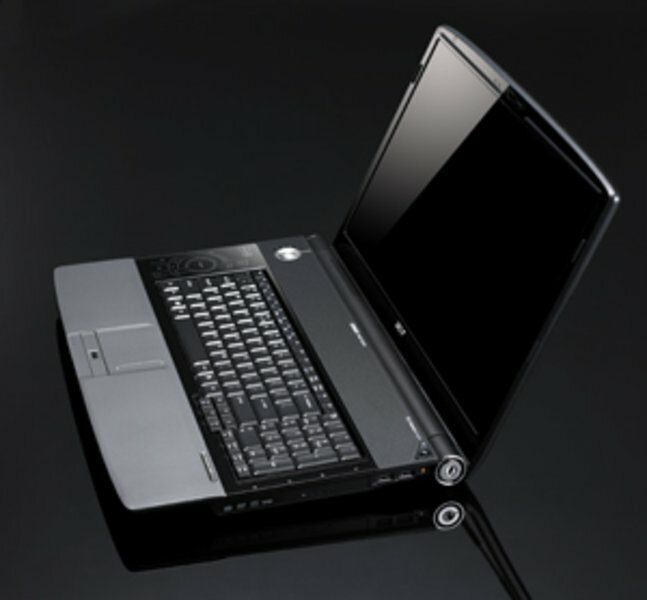 The Acer Aspire 8920G is equipped with an unprecedented 18.4-inch screen and performance parts that are future-proofed. With Blu-ray and a true 1080p display, the 18-inch Acer Aspire 8920 is a movie fan's dream, but we'd go for the cheaper of Acers' two preconfigured models. Acer has nailed multimedia desktop replacement standards with the Aspire 8920G. The stunning 18.4-inch display provides more room than those on 17-inch models but is not quite as ridiculous as screens on 20-inch behemoths. Aside from the promised TV tuner (which you may just want to add externally yourself), everything is here: performance, a high-def screen, Blu-ray, top-notch sound system, and a very cool way to control it all. NVIDIA GeForce 9650M GS: The 9650M is a higher clocked 9500M GS and the successor of the 8700M GT (same chip but other spinning). Therefore, the performance should be on par with the 8700M GT. Non demanding games should be playable with these graphics cards. » Further information can be found in our Comparison of Mobile Graphics Cards and the corresponding Benchmark List. 83.39%: This rating should be considered to be average. This is because the proportion of notebooks which have a higher rating is approximately equal to the proportion which have a lower rating.